Lena Dunham Is Time's Coolest Person of the Year But Is She Cooler Than a Cat in Sunglasses? As of today, Time Magazine has dubbed Lena Dunham as 2012's Coolest Person of the Year. Okay, sounds good. I think Lena Dunham seems pretty cool, but then again I am young and living in Brooklyn and can be kind of mean to my mom sometimes. A lot of you are probably like "I hate her" right now and that's alright, too, because being titled "Coolest Person of the Year" is, while flattering, actually pretty meaningless in the grand scheme of things. Other people up for the honor were the likes of Frank Ocean ("I like him more! "), Cory Booker ("why didn't he win?") and Louis CK ("he tweets drunk from airplanes! 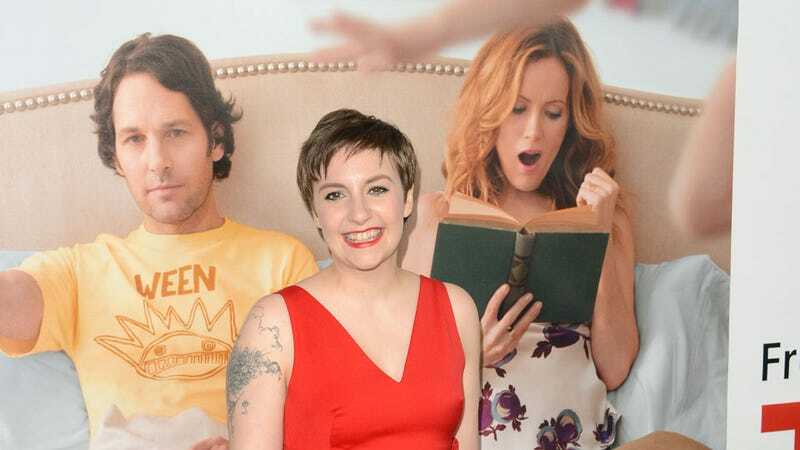 "), but, ultimately, Dunham was the one to receive the totally not-at-all embarrassing title that definitely doesn't sound like a painful compliment delivered by your high school geometry teacher after you've managed to turn in all your homework for the semester. The 2012 Coolest Person of the Year is a woman who was unafraid to showcase her flaws. A woman who wore less makeup on TV than in real life and purposely shot herself naked in more unflattering ways than a blackmailer would. A woman whose entire persona is based on doing the wrong thing yet who reportedly got a $3.7 million advance for an advice book. A woman who made an Obama campaign video centering on a double entendre about losing her virginity to the President. A woman who was nominated for four Emmys and, far cooler, zero People's Choice Awards. A woman who responded to 2010 Coolest Person James Franco's harsh Huffington Post essay criticizing Girls, the HBO show she created and stars in, by saying she's a big James Franco fan. Other cool things that deserves mentioning in 2012 and always: animals wearing sunglasses, chips and salsa, democracy, organic produce, Ikea Monkey, James Deen as Ikea Monkey and spirituality. But remember — as soon as you're called "cool" by something as big as Time, you're probably not that cool anymore. Just ask 2011 Coolest Person winner/current ugly loser Ryan Gosling.